It is fascinating, lots of delicious food and a little wine. After reading your blog, I was wondering if you -or your readers- might be interested in entering our travel competition? We’re offering the opportunity to win a luxury tour of North India, simply by sharing your experiences (and photos) of India, or by telling us why you’d love to visit. 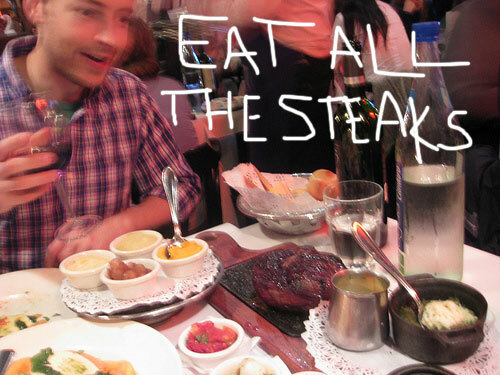 Haha, this was hilarious and really well written ;-D I love the picture of Ben manically eyeing the steaks!